I've been living in my apartment for over 2 years now which in my world is some kind of new world record. I've always bounced around every year or so but this place has really stuck! Even though I love my little nest I needed to switch things up. The task was a bit daunting but I had a friend refer me to Joss & Main. I was instantly hooked! I did a lot of online shopping and they by far had the best prices and selection compared to their competitors. I even found a lot of the same exact pieces on other sites and Joss & Main always had the better price!! I knew I wanted grey, whites, wood and gold accents. My first purchase was the Erica Sofa. 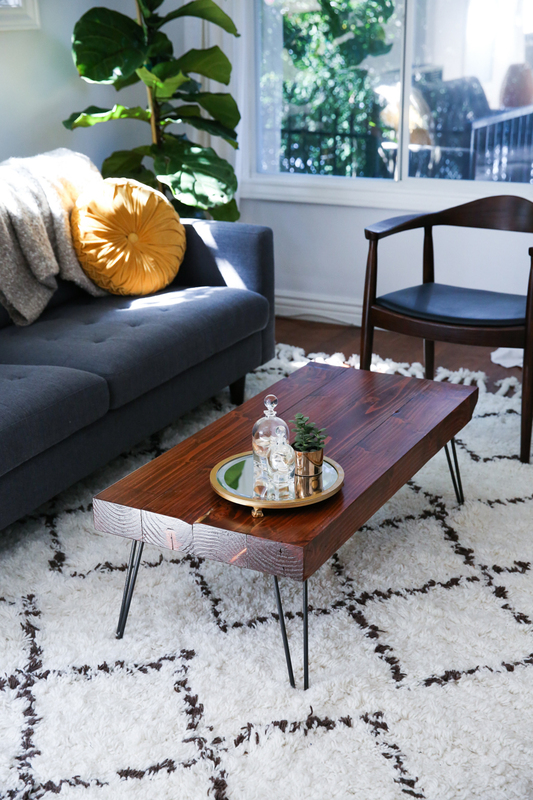 I wanted something mid-century style and it also was a great compromise with my boyfriend. He wasn't going for my pink velvet idea. Compromise people!! We also agreed on the accent chair which also would look amazing around a dining table if you have the space for it. From there I knew I needed a massive rug to take over the entire area and add texture against the wood floors so I went for the 8x10 size. 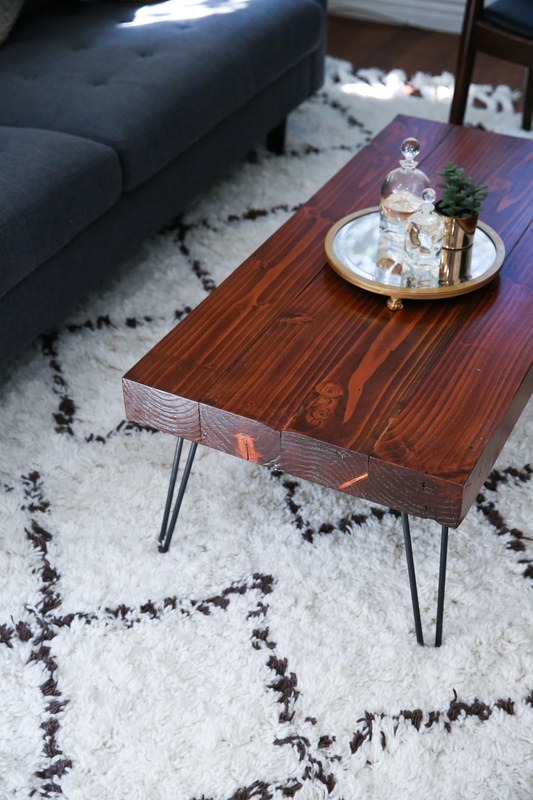 You've probably seen this Robyn Rug a lot and for good reason- IT IS AMAZING. I love the way it looks and bonus provides a fuzzy, soft surface for barefoot Netflix and chill sessions. 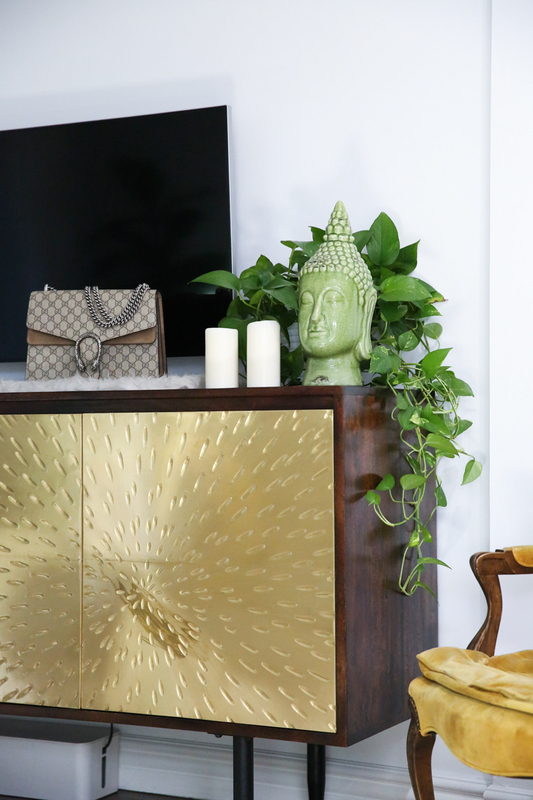 When it comes to looking for an entertainment center I recommend looking for buffets/sideboards as an alternative to a traditional TV console. They are chic but also functional with so much storage. 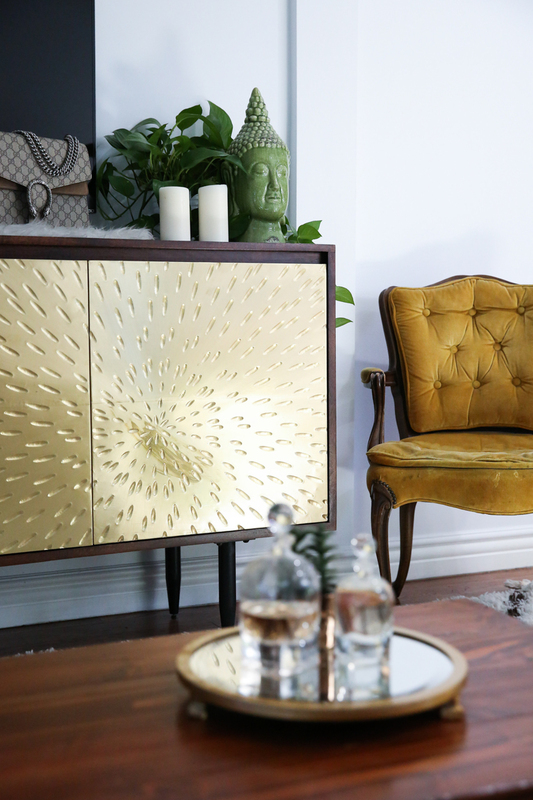 I fell in love with the Rochelle Sideboard! I've linked the pieces and similar one's down below. So excited to keep adding to my new space with art and lighting. Love these pieces! So pretty! 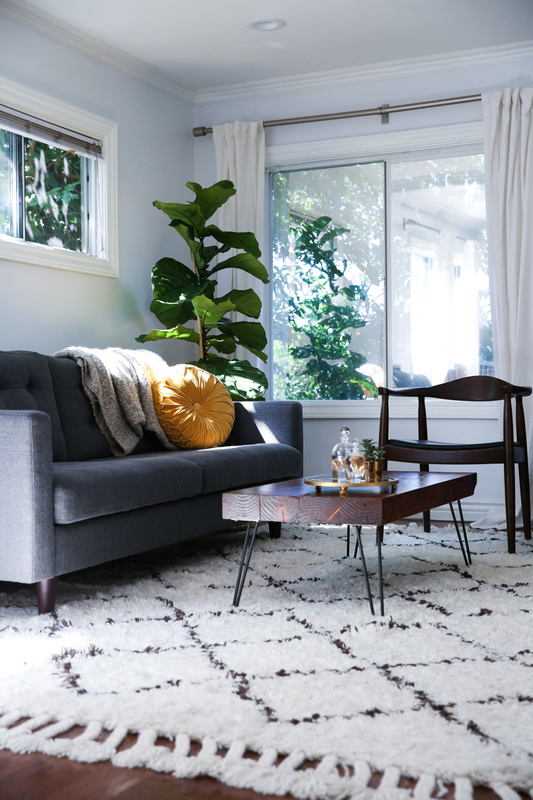 Great photos, loving the huge rug, makes the room look so homey! 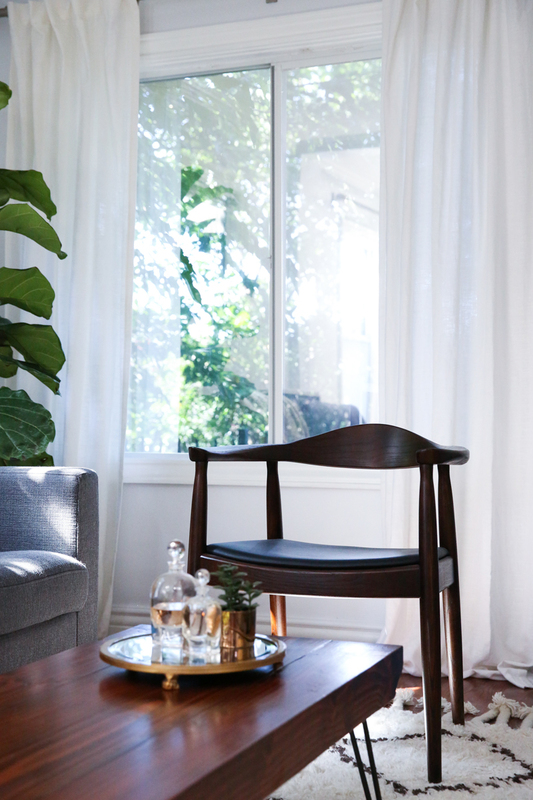 The natural light in your APT - YES PLEASE! I love! There's something immediately dignified about this venue - it is beautifully designed, tasteful, and understated. Went to this comfy event space San Francisco recently, just the right temperature, good food and great experience. I'm really not surprised that you have the most beautiful home. 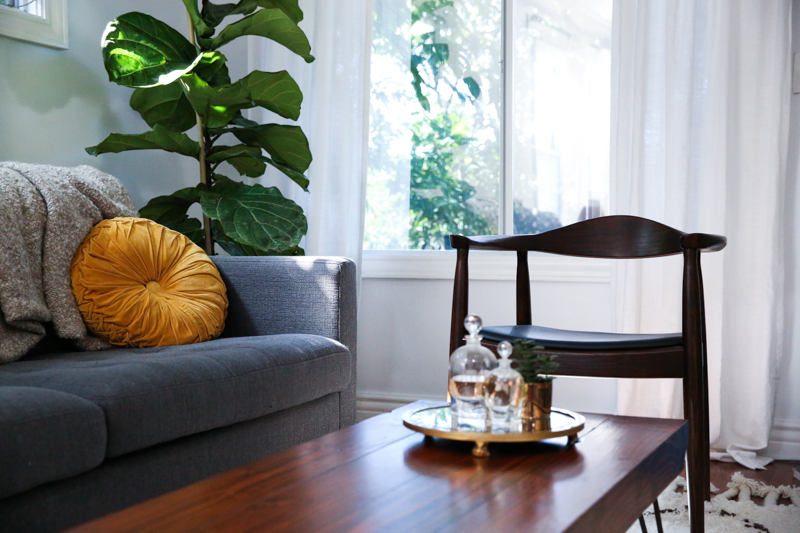 That sofa is gorgeous but your sideboard... Waaah! Beaut. Visit: http://www.genuinehealers.zohosites.com for all your problems like: return lost lovers back in 24hrs, court cases, infertility, promotion & better pay, win contract or tenders, financial problems, hire short boys or amayembe for riches, instant money rain maker spells, men problems, lottery spells, casino spells, black magic & voodoo destroyer, distance spiritual healing and many many more....email: maamashahieda@yahoo.com or whatsapp: +27781419372 100% guaranteed! If you know you not ready for a relationship why get into one and still cheat and liar. I was dying inside for my cheating wife, i had no prove, no one to run to. Everyone thought i was paranoid. until i was referred to a Private Investigator Mr James . I told him about my situation and He understood me well and helped me spy on my wifes iphone.He hacked her Gmail and Facebook account and linked all her WhatsApp and phone conversation to me, to find out the truth.I saw all the evidence and i was heart Broken,I just want to openly say thank you Mr James for helping me get evidence against her,i feel so hurt. If you need help please contact him (Worldcyberhackers@gmail.com) via email. I love all of these looks! A leather jacket works so well with any outfit. An inspiring collection of women's leather jackets and coats each beautifully crafted in a choice of lovely soft nappa leather, supple nubuck (velvety sude) or luxurious shearling. full range of women's leather styles. leather jackets are the perfect item to wear for this time period but let me tell you a little secret.They are perfect year round.don't be afraid to invest in the red black leather jacket because i promise you'll get your money's worth. semoga bermanfaat, kami hanya memberikan saran pengobatan yang bisa Anda coba demi mencapai kesembuhan.